When Quyet Chien, a tenacious 13-year-old from Vietnam, heard that his 2-month old baby brother had been taken to hospital in the country’s capital, nothing could hold him back. The boy’s mother had taken her baby son to see doctors in Hanoi after the baby, born prematurely, had exhibited signs of poor health. 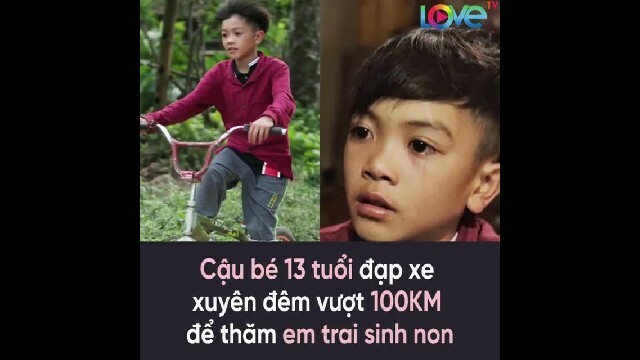 Vietnamese news website Kenh14 originally covered the story, and revealed that Chien himself suffers from a congenital neurological disease, causing him to suffer occasional spells of dizziness and fainting. But the boy, not to be left behind, cooked up a plan to reach his mother and brother as quickly as possible. The plan involved a set of wheels. However, the journey was no small undertaking. The Hanoi hospital was situated a hefty 320 kilometers from the family’s home in Son La Province. The only vehicle that Chien had access to was an old, rusted bicycle with no brakes. Undeterred, Chien set off. 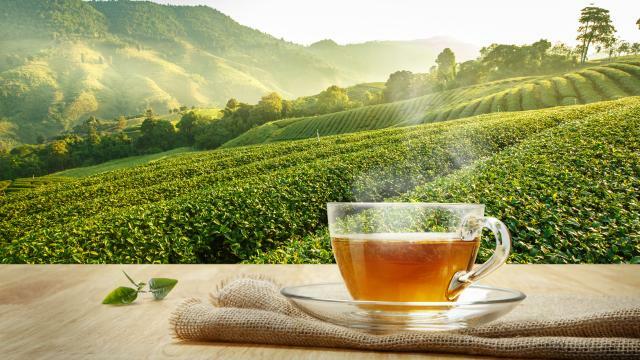 On March 25, 2019, the determined young boy left his hometown and began the long, arduous journey through mountain roads to Hanoi to meet his mother and brother. Chien was no experienced cyclist; prior to his hospital-bound excursion, the only bicycle ride he had completed was the daily commute to school and home again. Five hours and 100 kilometers from his starting point in Son La Province, an exhausted Chien arrived in Hoa Binh City. He was hungry, dehydrated, his legs were swollen, and his thin sandals were worn through. The industrious boy had used the soles of his sandals to brake while cycling downhill, in the absence of the bike’s functioning brake mechanism. The help of a passing driver came just in time to prevent the 13-year-old from collapsing in exhaustion. Le Van Tuyen pulled up to ask the boy if he needed his help, and was knocked sideways by the news that Chien had already covered an astonishing 100 kilometers to reach his ailing sibling. Keen to verify his story, Tuyen drove Chien to the nearest police station, where they telephoned the boy’s father. Chien, however, was anxious to make tracks, and the kindly driver, sensing his plight, offered to arrange transport for the exhausted teenager and his father, Nam, the rest of the way to Hanoi. Hugs and tears awaited the worried pair as they entered the hospital. Chien’s mother, Sam, was overjoyed at the appearance of her eldest son and could barely believe his story of self-sacrifice. “I love you so much that I can’t do anything,” the 33-year-old mom said through tears, completely overwhelmed. Sam wept for her son’s bravery and the myriad dangers he had escaped along the way, with nothing but a pair of worn sandals and a brakeless bicycle for company. The hospital’s medical staff were equally astounded. On the morning of March 26, Chien was allowed to stay in the hospital to eat breakfast with his parents. One doctor, the baby boy’s own doctor in fact, bought Chien a pair of new sandals in recognition of the teenager’s incredible journey. He even paid for a car to take Chien and his family all the way back to Son La Province in comfort. Chien’s venture caught the attention of the public after the media printed his story, and a collection of compassionate benefactors bought a new bicycle for the selfless young boy. A brand-new bicycle with functioning brakes, this time.